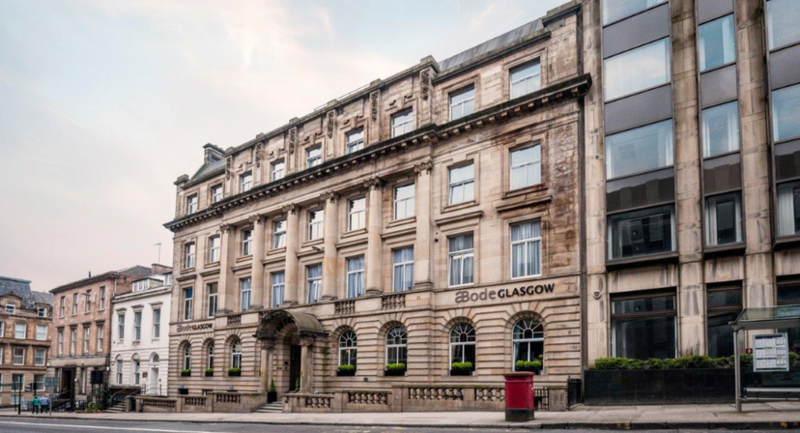 Set in a coveted spot in the heart of the vibrant city, this classic 19th century townhouse reflects the city's own modern renaissance, combining striking traditional architecture with contemporary design. 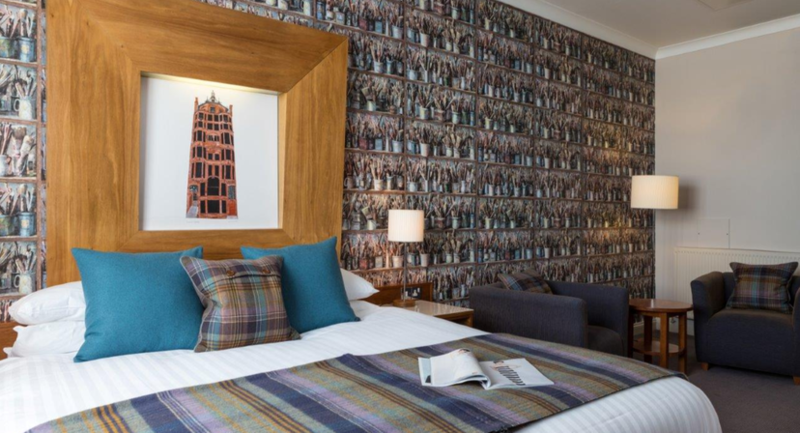 Within walking distance of shops, restaurant, bars and art galleries, Abode Glasgow is a popular choice for both leisure and business guests. 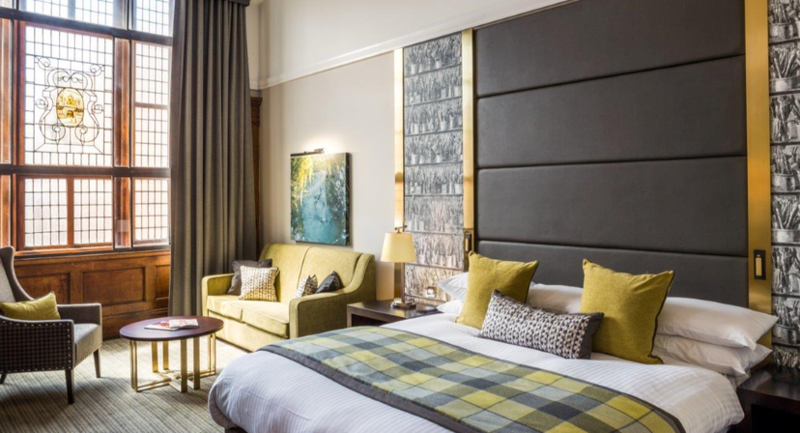 Featuring 59 luxuriously appointed bedrooms in the ABode collection’s trademark Comfortable, Desirable, Enviable and Fabulous room categories, each guestroom features a luxury bed and the clean lines of a contemporary ensuite bathroom alongside complimentary high-speed Wi-Fi. 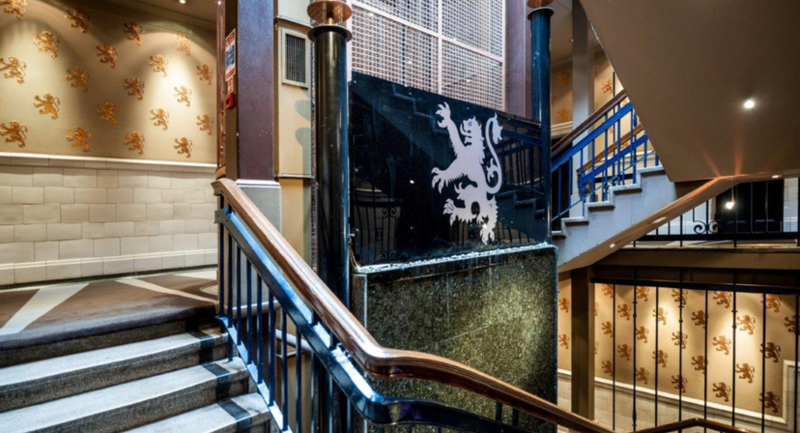 Original features including stained glass windows and original wooden panelling add a distinctive character. 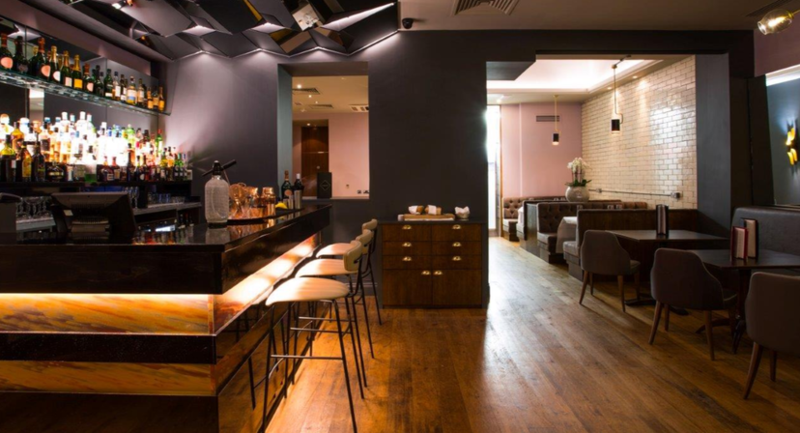 Open from brunch right through to dinner, the all-day dining menu served in Brasserie Abode features delicious brasserie classics in a relaxed and friendly atmosphere. From French onion soup to grilled rib eye steak and sticky toffee pudding, enjoy tasty dishes alongside an extensive wine and cocktail list. 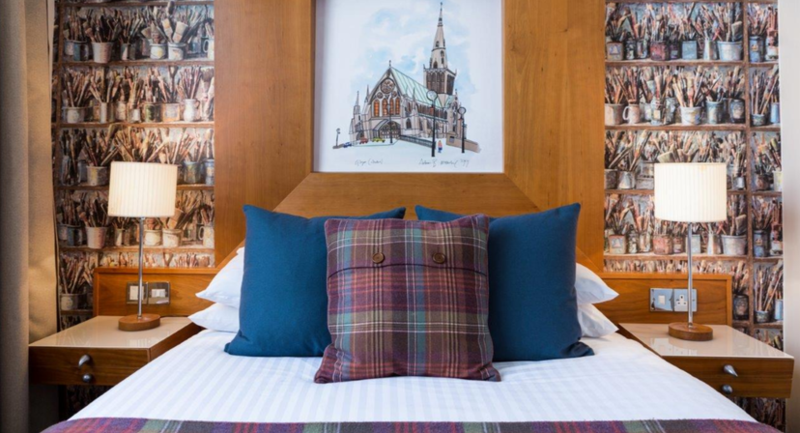 The same menu from Brasserie Abode is also available in the guestrooms, with many dishes available 24 hours a day. 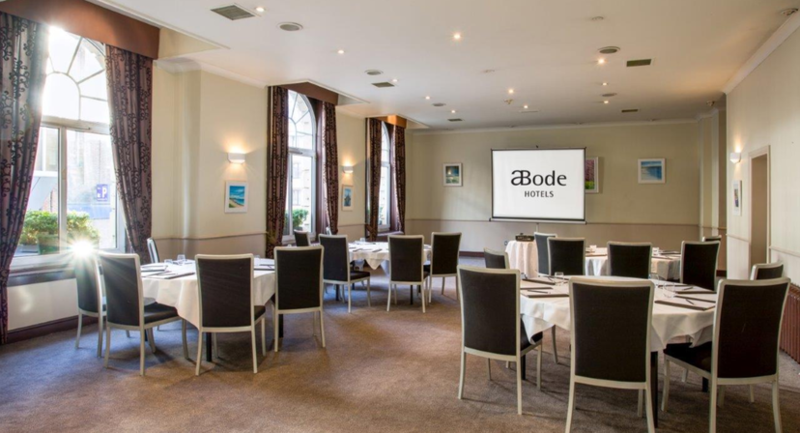 ABode Glasgow can accommodate events of up to 70 delegates, with three bright, spacious and contemporary meeting spaces. 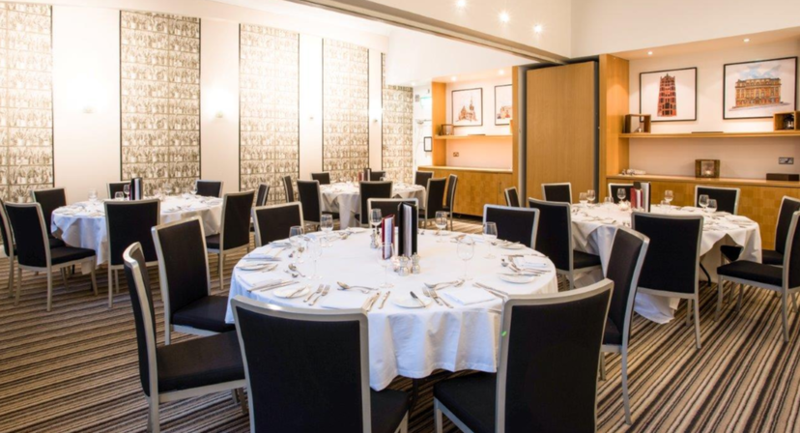 A delicious buffet lunch with refreshments can be provided, as well as evening canapés for receptions of up to 90 guests. 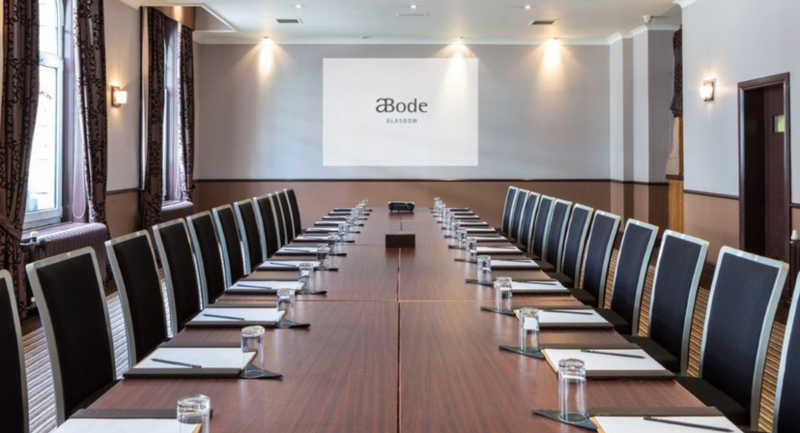 ABode Glasgow is perfectly positioned in the centre of the city with easy access to Glasgow International Airport, the motorway networks, and both train stations.